That's a pretty promising title, I know. Here's the truth - renovating a kitchen can be an overwhelming and cumbersome task. It's especially overwhelming if you've never done it before. 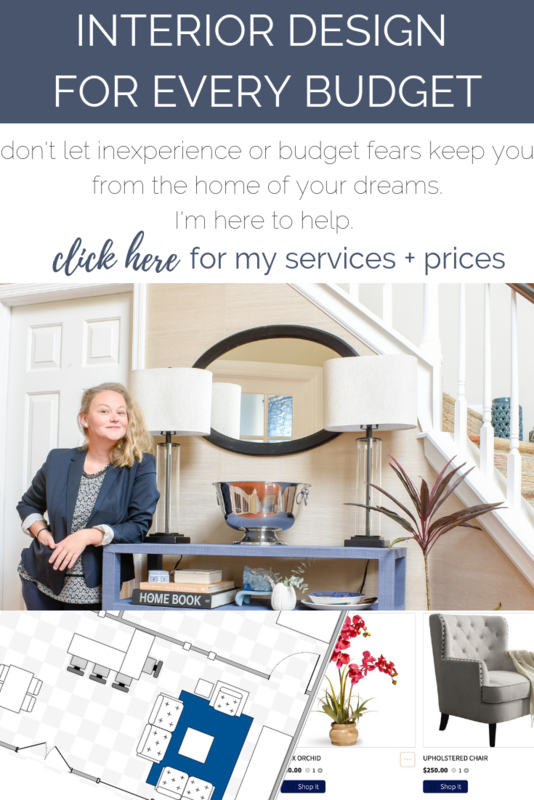 When a friend reached out during her first kitchen renovation design process, I knew she must've been so anxious that she'd miss some small detail she'd later regret. I totally get it. When I began my first kitchen renovation, I missed a handful of details. Some weren't huge deals, just slight inconveniences. Others? Well, those set us back weeks and thousands of dollars. So, for the sake of saving everyone's sanity, I've decided to compile a list of items you should, in the very least, consider during your kitchen renovation. Of course, we all live differently. There's no "one size fits all" kitchen design. So I'm not going to tell you you should only have this one type of cabinet door style or storage. I'll explain options. I can't even guarantee I'll be able to cover every option available. I will, however, do my best to explain the importance of every choice for your long-term kitchen satisfaction. After all, I love saving money and what's the best way to save? Do it right the first time so you don't have to pay for it again. 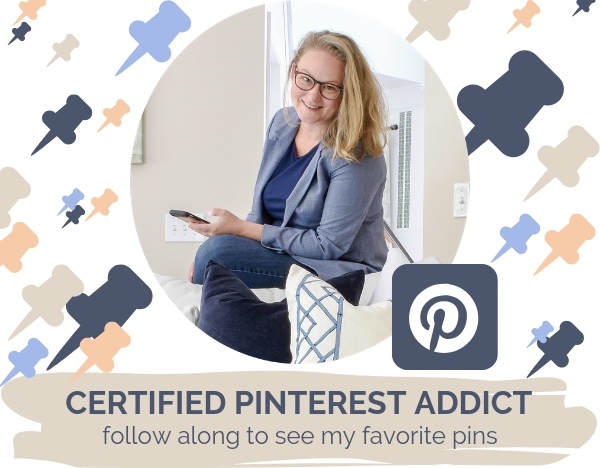 In Part One, I'll explain the different cabinet options and discuss the most important things to remember when planning your kitchen renovation. Want to save even more money on your kitchen remodel? 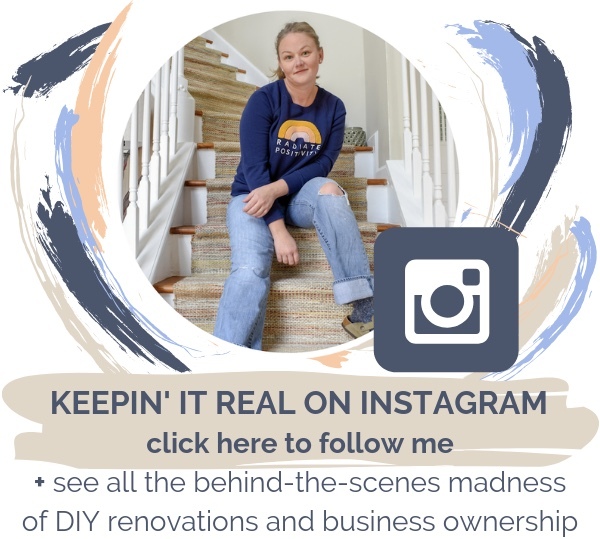 Whether you’re a DIY homeowner who is tackling her first kitchen renovation, or a professional flipper who is looking for quick resources to maximize costs, this guide is for you. 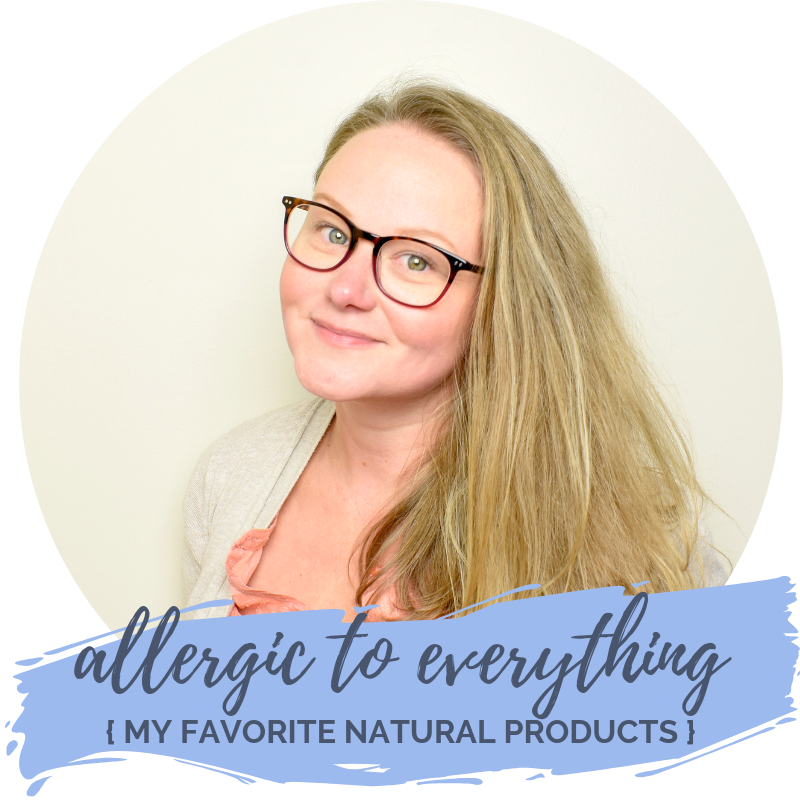 I’ve compiled this list of my go-store stores and products that provide the biggest style impact without breaking the bank. From fully custom cabinet to ready-to-assemble, this guide is packed with detailed information and products to match any style. 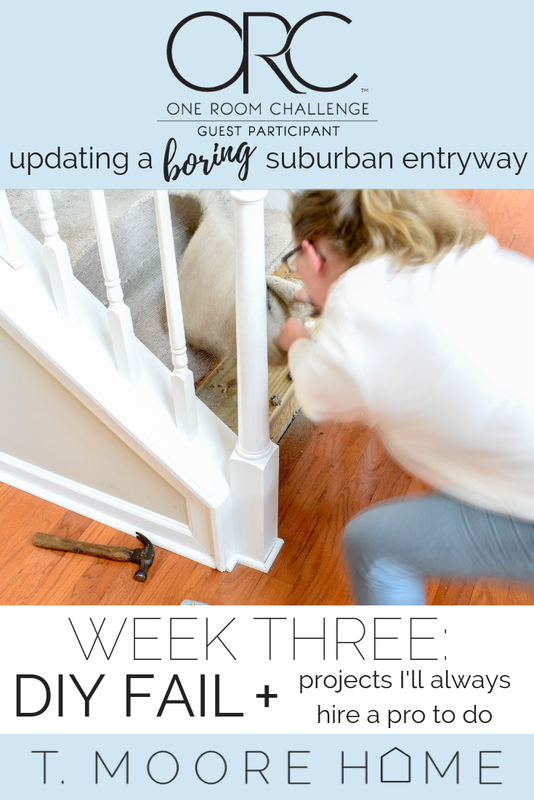 I’ve even broken each section down with pairings and inspiration to get the completed look you and your buyers will love! Make a list. I've broken this post down into sections and I want to talk about how I've done this, before I get started. To start, I'm not going into any details about style. Your style is important when you're remodeling, of course. More than that, I'm concerned about the ins-and-outs of a kitchen. How the kitchen functions for daily use. So with that in mind, I'm going to ask you to spend a few days considering how you use your current kitchen. For this, I need you to be really honest with yourself. Don't consider how you'd like to be using your kitchen, unless you know of a task you were able to previously perform in a kitchen that you will make space for again. For instance, if your last home had an island with room for barstools and your family ate every meal there, add it to the list. But if you're dreaming about a giant wine fridge, look around your home. How many bottles of wine do you currently store? Is it financially feasible for you to have cases upon cases of wine at once? If you're a collector and you need to house those boxes that currently sit in your closet, add a wine cellar to the list. If you've got a single dusty bottle of untouched Champagne left over from your honeymoon, you probably shouldn't concern yourself with wine storage. A fridge can suffice for storing just a few bottles at a time. Realistically, are you planning a kitchen for your fantasy life or your actual life? A double wall oven looks impressive, but since I only bake once a year, it's kind of a waste of money for my actual life. Catch my drift? So make a list. Include the top ten reasons you find yourself, or your family members, in the kitchen every day. Are you cooking or are you grabbing? If you're not currently using your kitchen, ask yourself how you've used kitchens in the past. Some times, we mistake an inefficient kitchen for the culprit when, in reality, we're just not cooks. That's totally fine. If you're a grabber, like me, I'm not here to judge. My kitchen has two basic functions: A place to pour coffee and wine, and a place to heat up a microwave meal for my family. Sometimes I get really fancy and pop it in the oven. No judgment zone, right? With that list, I want you to proceed ahead. Keep your mind on function. A beautiful - and functional - kitchen is perfectly achievable. Those two things are not mutually exclusive. I do find, however, that people get so caught up in how a kitchen looks that they forget to think about how the kitchen works. So that's why I'm emphasizing function. Really, finishes are the easy part. You might think that choosing a color is difficult, but put that out of your brain for just a few minutes while we dive even deeper into kitchens. I promise we'll get to the pretty stuff. Don't stop at kitchen layout. The basics of a functioning kitchen are pretty simple. You've probably heard about the "kitchen triangle" before. If you're not familiar, the concept of the kitchen triangle is the most simplistic idea of addressing a workspace that functions within the room. The concept is based on the idea that there are three main "hubs" of a kitchen; refrigerator, stove, and sink. By placing these three workspaces within a triangle format, having the sink in the center point, you've guaranteed that your cooking and preparation necessities will be laid out for maximum efficiency. However, there are instances in which you should consider more than just whether your sink, fridge, and stove create a triangle. For example, larger kitchens actually deter functionality with a triangle layout. Consider this when designing your space. Will accessing each of those three items require more than nine steps to maneuver between them? If so, you may consider an abbreviated triangle layout. Galley kitchens are especially challenging because there is almost no way to achieve a perfect triangle. The most comment impediment to the functionality of a triangle layout is the modern appliance. When the kitchen work triangle was conceived (back in the 1920s by psychologist and engineer, Lillian Moller Gilbreth), Americans had considerably fewer kitchen appliances. Today, we enjoy the modern functionality of toaster ovens, blenders, microwaves, mixers, and above-the-stove "pot filler" faucets. If geometry were as simple to apply to the modern kitchen as Gilbreth had imagined, our kitchen triangles would be more like kitchen octagons. With this in mind, you'll want to determine which appliances you most frequently use to determine the best locations for those items. Always consider your actual use over any design rules you've heard. If design were as simple as following a set of pre-determined rules, there wouldn't be a multi-billion dollar industry dedicated to innovation. Do you need an eight burner stove? If so, you'll want to determine exactly what size will work for you prior to ordering cabinets. The same goes for your refrigerator, dishwasher, and microwave. Determining what will be housed within the cabinets is far more important than picking cabinet colors or fronts. Before you meet with a kitchen designer, you're going to want to have picked your appliances. It's also important to note that if you are dreaming about an apron front, or farmhouse-style sink, you may need to make special arrangements for the sink cabinet. Mention this to your kitchen designer on the front-end to save a headache down the line. This may seem nit-picky to you, but there is a massive difference in functionality between drawers and open shelving in your base cabinets. It's important to determine how your cabinet layout will flow prior to making any decisions about lighting. For this reason, I recommend consulting with an electrical professional prior to ordering cabinets, but having the work completed after a final cabinet layout has been determined. This will insure that your lighting will not interfere with the function of your cabinets. (No one wants to hit a pendant when they open an upper cabinet, after all). Knowing the type of lighting you wish to use is also important, as certain features, like under cabinet lighting, may require additional cabinet trim pieces to conceal. You might think that you're limited on options for outlets in a kitchen because of our modern Codes systems. While local building codes can be used to determine how many outlets and how far spaced they will need to be, they're definitely not the the defining factor in determining how your electrical should look. Many homeowners are now opting to have their outlets installed horizontally, to blend into a subway tile grid. Insetting outlets within the bottoms of upper cabinets allows for easy access while completely concealing the hardware. You'll also want to plan ahead of time if you would like to have an appliance garage (a cabinet with a door, typically installed on the counter, that houses small appliances and features outlets built-in). Modern technology allows for outlets that will lay flat and "pop out" when needed. These are perfect for backsplash installations, for a crisp concealed look. This is time-consuming but absolutely necessary. Before you even begin designing a layout or picking finishes, you need to consider the items that will be housed in those new, beautiful cabinets. Go around your current kitchen and make an inventory list. Each type of item needs to be measured. For instance, instead of just "cereal boxes", add the measurements to the list like this 14" tall cereal boxes. Cereal is a great example because almost no kitchen is fully-equipped with ample, convenient storage for the large boxes we buy today. How many times have you found yourself reaching way too high above your head to grab something heavy, like a crockpot? Or even worse, balancing on a chair or climbing on the counter to retrieve your grandmother's precious antique tureen? When you're designing a kitchen from scratch, you can eliminate the headaches by planning for these items and creating reachable spaces for them. - Nothing over 5lbs, or extremely fragile, should be stored above your head. - If you use it more than twice a week, it should be housed in a convenient spot at eye level. - Vary the height of your pantry shelving to account for taller items as well as small cans. Food - What kind of food do you store? Is your family more likely to eat fresh vegetables or frozen? If frozen is your go-to, make sure you choose a refrigerator with ample freezer space. If you stock up on canned foods, plan to dedicate a few short shelves in your pantry. Open air storage for fresh vegetables, like onions and potatoes, can be incorporated into your cabinet design. This is a good time to determine how much dry storage is actually necessary for your kitchen. If your current inventory is small, you might forego a full pantry and opt for additional cabinet storage instead. Place Settings - Take a current inventory of your plates, bowls, cups, glassware, etc. Measure the space these items currently consume. Determine what items you use daily and plan to have those stored at or below eye level. Seasonal place settings can be accommodated in out-of-reach storage and swapped out with your daily utensils as the need arises. Cleaning Products - Under the sink storage tends to be ideal for items like dish soap and dishwasher detergent. But what about brooms, mops, bar towels, dusters, etc? Where are these currently housed? I like to include at least one tall, unshelved cabinet or a pantry with hooks for storing these items. The biggest messes tend to accumulate in the kitchen and having cleaning necessities within a few feet can make all the difference when it comes to the look, function, and smell of your home. Bakeware - Those little drawers under the stove aren't really cutting it anymore. Between cookie sheets, brownie pans, muffin tins, casserole dishes, and reusable liners, we have a lot of products to store in our modern baking arsenal. Since these items tend to be thin, but tall, I recommend a skinny cabinet to house these items. But take your measurements. Make sure all of your necessities will fit conveniently. There's nothing so disturbing as that metal avalanche that occurs from over-stocking our baking cabinets. If you need additional cabinets for these items, make a note to allow for it in the cabinet design. Glass casserole and baking dishes are best stored unstacked. So I recommend adding in storage for these items via short shelves within your upper cabinets. Keep them near the stove or wherever you tend to prep big meals. Remember to include measurements for items like your roasting pan. You may only use it twice a year, but it needs a home. This can be stored in the cabinet above the stove if you prepare in advance by making sure it will actually fit. Trash Cans - Nothing says I didn't think about that like a giant black trashcan sitting right out in the open of a beautiful kitchen. Everyone knows you can upgrade your cabinets to include pull-out trashcans and even purchase hardware to retrofit these into your existing cabinets. HOWEVER, and this is big, did you know that the trash cans that tuck neatly into your cabinets are tiny? Not quite bathroom trash can tiny, but definitely not the tall kitchen trash receptacles we've come to love. So unless you want to take the trash out multiple times a day and waste a ton of (expensive, amiright?) trash bags, I'd opt for a different solution. I highly recommend planning to leave enough open floor space in your cleaning pantry for a full-sized trash can and two stackable recycling bins. But, again, think about how you use your home. If you don't have a lot of trash, go with the cabinet-style bins. They're so convenient. Cookware - Pots and pans tend to be oversized items that are not easily stored in standard cabinets. I like the idea of a large island with a pull-out shelf that allows you to store these items without stacking them. Removing a large stack of heavy pans just to get to the bottom one is just not convenient. If you're in the market for a new set, I'd also consider which items from your current arsenal you're actually using. For instance, we have a large stock pot that we've never used. It came with the set. Also included with the set? A tiny frying pan no bigger than a single egg and it's lid. Who needs that? In the future, I plan to piece together cookware, instead of buying a set that will include items I'm paying for but won't ever need. My dream kitchen, in my head, will also have a separate organizer for lids. I've installed these in client's homes and I can't tell you what a difference they make in terms of storage ease. Just pre-plan to dedicate the space for one. Serveware - This is sort of like the roasting pan. Sure, you only use tureens and platters a few times a year, but they must be stored year-round. For items you rarely use, consider high storage. Putting it above your head just means you'll want to also make space for a sturdy step stool in your cleaning pantry. No more balancing on chairs or counters, okay? Utensils - Forks, spoons, knives, grilling accessories. All of these items need to be stored. Shallow drawers are best. Just measure the space they'll all consume. But a silverware divider and a knife caddy for drawers and measure them. This will tell you how much space you need. Misc - We all have a junk drawer that houses just random objects. Take an inventory. Make sure to include an extra drawer just for these items. My daughter has a dedicated drawer in our kitchen that houses her fast food toys and a coloring book with crayons. It's deep and sits at the very bottom of the base cabinet so she can easily look inside and get out the toys she wants. She amuses herself by playing with these little trinkets while I make dinner. When dinner is ready, she knows it's time to put everything back in its place. If she begins to run out of space, she has to decide which toys can be donated to other kids. Making accommodations for these items, instead of allowing them to be afterthoughts will make your entire home run more smoothly and keep it tidy. Small Appliances - There are the items we rarely use, like food processors that can be housed in the very back of base cabinets. Then there are the items we use every day, like smoothie machines, coffee makers, etc. Pull each of your small appliances out of their existing storage and make three piles; Rare Use (once or twice a year), Moderate Use (once every couple of months), and Every Day Use. Measure these piles, taking into consideration the most convenient placement for the appliances (a mixer should probably be housed near the baked goods and not with the toaster). Make appropriate accommodations. The need for custom cabinets, including those with a built-in appliance garage, should be determined prior to any electrical installation, as these will require additional outlets. I promised we'd get there. See? I haven't let you down. I'm going to run you through the most common current kitchen cabinet types. I won't tell you what to choose. I'll simply explain the benefits and drawbacks of each and let you make your own final decisions, based on your tastes and budgets. This requires a trip to a cabinet showroom or working with a full-service design firm. Even though you'll typically be shown a sampling of styles and finishes, every cabinet is customizable to your own paint colors, measurements, storage needs, etc. These cabinets are typically from solid wood. This is most like current furniture construction. It's also the most expensive option available today. To easily locate a custom cabinet supplier in your area, simply type "custom kitchen cabinets" + your location into your preferred search engine. Local results will populate. 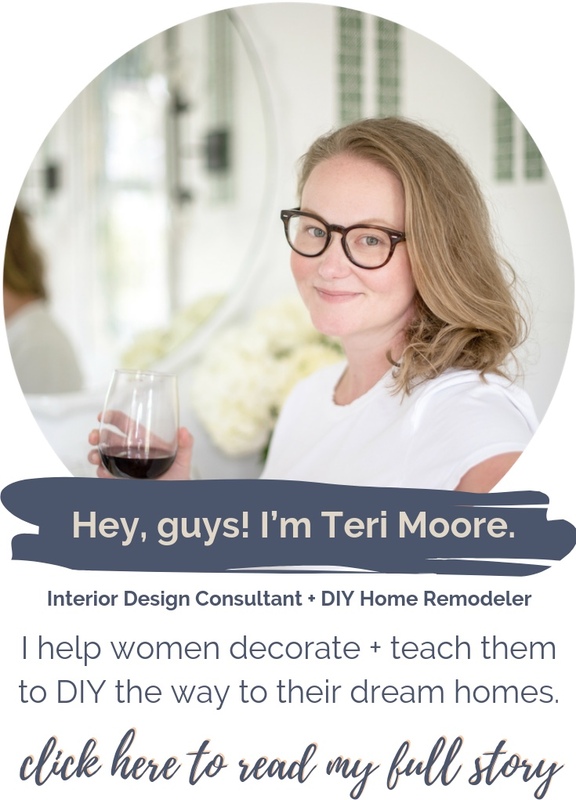 For assistance accessing design showrooms in your area, you can also email me at teri@tmoorehome.com for a referral quote ($50 service fee). Pros: Get exactly the look and sizes you need. A budget option for those who desire the look of custom cabinetry without the cost of solid wood, semi-custom cabinets are what you see most often in the full-scale showrooms at large home renovation stores, like Home Depot or Lowe's. Also, if you reach out to a construction company that specializes in kitchen renovations, you're most likely going to see semi-custom as their first choice. These cabinets are typically built using a plywood construction with a veneer overlay, giving the look and feel of solid wood on the doors and the cabinet box. Your color selections may be somewhat limited when you choose semi-custom, but most suppliers will offer a range of finishes that will satisfy the most popular current trends. Semi-custom cabinets also offer a range of upgrades that will fit most storage needs. Pros: Get the look of custom cabinets. If you're browsing the kitchen showroom at your local home improvement store, venture over into the aisles and you'll find shelves full of pre-assembled cabinetry. There's nothing custom about these cabinets, though a knowledgeable designer can assist you in a custom layout. These cabinets are typically constructed of a plywood box with a veneer-clad MDF door. They're available in a small range of size and layout options and are extremely limited in finish options. A budget-savvy homeowner can customize these stock cabinets with paint or stain. Some even some unstained, so you can easily upgrade on your own. Cons: Limited finish and style options. If you've been researching DIY kitchen renovations for any length of time, you've seen an Ikea kitchen. Ikea is the revolutionary in the kitchen design world, as they have offered inexpensive, customizable stock cabinetry for a long time. Their process is relatively simple as they offer a kitchen design tool that is virtually fool-proof and have kitchen experts in the stores to assist you when you place your orders. I'm not a spokesperson, nor am I an affiliate. I've just used their cabinets before and I love them! In fact, their process has become such a hit with DIY renovators that the other big-box retailers are feeling the heat and have begun selling their own versions of assemble-it-yourself cabinet options. The biggest drawback to this style of cabinetry is that the materials used are very inexpensive. Cabinet boxes are usually constructed of plywood with a sticker-like (usually white) veneer that doesn't resemble real wood in any way. Luckily, they also sell finish pieces that completely disguise the unsightly boxes on the outside, giving the look of more high-end, solid wood cabinets. They also offer a range of finishes but if you want a custom color, you'll be painting them yourself - I did just that in my last kitchen and it worked great! Typical Cost: averaging $35 per linear foot of cabinet space. This has been such a super long post that I’m going to let you just dwell in it for a little while. I’ll be back soon with a post about our current kitchen renovation. We’re readying our home to sell this Spring and I’d like to explain to you why we’re not even planning to update the kitchen cabinets. Maybe you’re in the same boat. Maybe you don’t need a full-scale renovation. In the interim, make your lists. Get a sound idea of your budget. Download this free checklist of items to consider before you call a contractor.